A1 Made Kleen has been trading since 1989 and most of our work is by recommendation from existing clients. 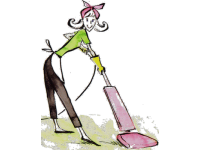 We offer Weekly, fortnightly or 4 weekly cleans. We can also quote for one off's and builders cleans.